Here is another bug. When you are using Metadata navigation for a Library, column filter does not work! This was tested in SharePoint 2013 on-premise and Online versions. Here are simple steps to reproduce this bug. 1. 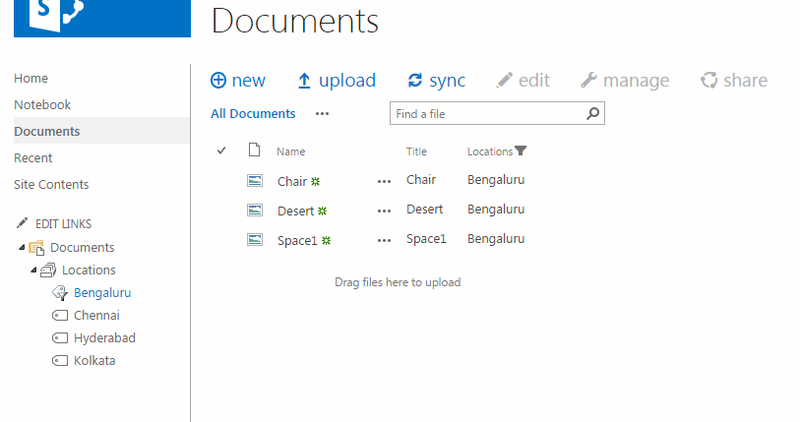 There is a document library which has Managed Metadata column (Locations) and Metadata navigation is enabled for this library. 2. 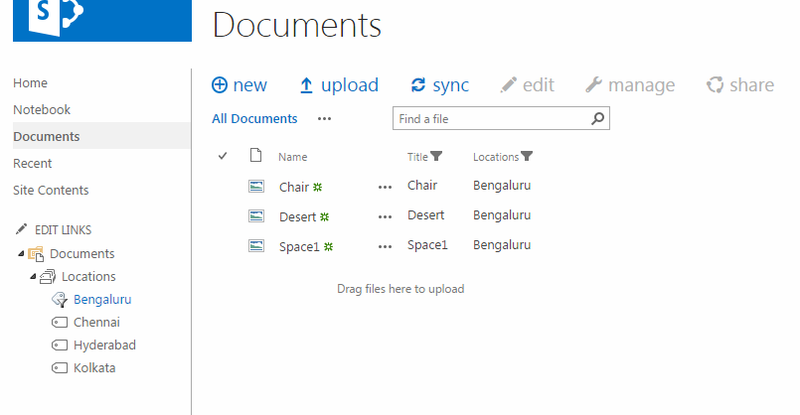 A value ("Bengaluru") is selected from metadata navigation and corresponding filter is applied in the library. 3. Additionally filter is applied on Title column (selected only Desert). However, items are not filtered. Note: This works fine in SharePoint 2010.